A resident of Brinnon, Washington, was sentenced last week in U.S. District Court in Tacoma to six months in prison and a $25,000 fine for trafficking ivory from protected species. David L. Boone, who operates Boone Trading Company, participated in an operation that illegally smuggled narwhal tusks taken from the threatened Arctic whales into the United States from Canada, according to the U.S. Department of Justice. Boone also trafficked in sperm whale teeth and walrus tusks. According to records filed in the case, between 2006 and 2008, Boone purchased narwhal tusks from a Canadian and a resident of Tennessee. Narwhals are Arctic whales often called the ‘Unicorn of the Sea’ because of their prominent tusk. While native Inuit of northern Canada are allowed to hunt narwhal, it is illegal to import tusks into the United States. Boone purchased tusks knowing they had been smuggled across the border from Canada, he then sold the tusks on the black market at a huge profit. Additionally, in October 2011 Boone sold sperm whale teeth to an undercover law enforcement officer, and in February 2012 bought and sold a walrus skull and tusks. The transactions were illegal under the Marine Mammal Protection Act. The Canadian exporter of the narwhal tusks plead guilty to multiple counts of money laundering and was sentenced today in U.S. District Court for the District of Maine to more than 5 years in prison. In addition to BOONE, three other United States citizens were prosecuted and convicted for their participation in the narwhal tusk smuggling scheme – one in the District of Maine, and one each in the Districts of Massachusetts and Alaska. The court directed that the $25,000 criminal fine be paid to the Lacey Act Reward Fund. Monies deposited into this Fund are used to reward persons who furnish information leading to successful enforcement actions against those who traffic in illegally taken fish and wildlife. Rivers around here have been a bit too harsh as of late. A massive storm unleashed flash flooding with creeks and streams overrunning their banks, covering roads and washing away cars, cattle, towns. Amidst the devastation, I happened across a few unscheduled hours. And the one thing I wanted to do was take the kayak out. Luckily, there are a few lakes nearby that weren’t troubled by the downpours. 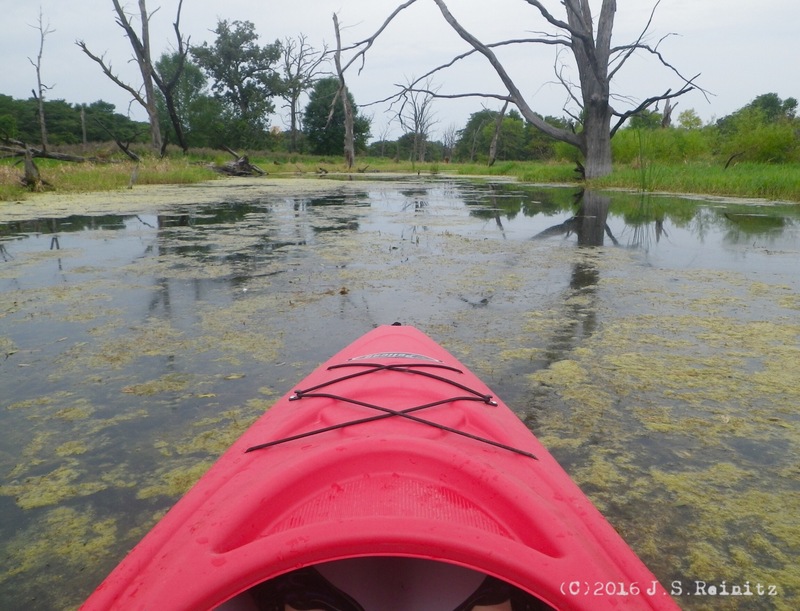 At one, I skimmed across the main pool and maneuvered into a backwater marsh where I cut through sometimes thick vegetation and floated past partially submerged trees to follow a small army of Canada geese. A Canadian has been sentenced to prison in a scheme that bought rhino horn libation cups in the United States and smuggled them to China. Linxun Liao, 35, a citizen of Canada, was sentenced yesterday in Manhattan federal court to two years in prison for his role in a wildlife trafficking scheme in which he purchased and smuggled 16 “libation cups” carved from rhinoceros horns and worth more than $1 million from the United States to China. Liao pleaded guilty on June 30, 2015, to a two-count information, admitting to illegally smuggling rhinoceros horn objects from the United States. Authorities returned an antique book penned by Charles Darwin after the work was removed from a Canadian library. There is no information on possible late fees. NEW YORK – A book written by scientist Charles Darwin on the process of natural selection is back with its rightful owner, the people of Canada. At a ceremony today at the Canadian Consulate in New York, U.S. Immigration Customs and Enforcement’s (ICE) Homeland Security Investigations (HSI) returned the book to the Royal Canadian Mounted Police (RCMP) based in Nova Scotia. 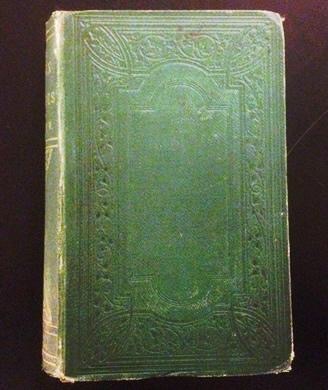 The book titled “On the Origin of Species by Means of Natural Selection or the Preservation of Favored Races in the Struggle for Life,” returned today was stolen from Mount Saint Vincent University Library in Bedford, Nova Scotia, Canada, by convicted antiquities smuggler John Mark Tillman, 51, of Fall River, Nova Scotia. “The return of the Darwin book is the final piece of the puzzle in what has been a lengthy investigation into the thefts from almost every intellectual property in Atlantic Canada. Museums, libraries, archives, private collections and antique dealers had fallen victim to over three decades of pilfering of their holdings by John Mark Tillman,” said Constable Darryl Morgan, lead RCMP investigator on the Tillman file. Tillman stole the first edition copy of “On the Origin of Species,” as well as two other Charles Darwin books, “Darwinism: An Exposition of the Theory of Natural Selection,” and “The Effects of Cross and Self Fertilization in the Vegetable Kingdom,” from behind a locked glass cabinet at the Mount Saint Vincent University library sometime in 2012. Tillman sold the “On the Origin of Species,” to a Canadian collector who then sold the book at a Sotheby’s New York auction on June 15, 2012 for $42,500. On Jan. 18, 2013, the RCMP arrested Tillman at his home in Nova Scotia. On Sept. 25, 2013, Tillman entered guilty pleas for more than 80 charges. A judge at the Supreme Court of Nova Scotia sentenced Tillman to nine years in prison. 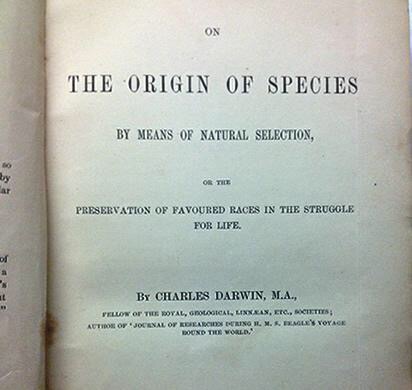 On Feb. 6, 2014, HSI New York received the stolen Charles Darwin book, “On the Origin of Species by Means of Natural Selection or the Preservation of Favored Races in the Struggle for Life,” from Sotheby’s New York. The Canadas have invaded the island. Not the Canadians, the Canadas, because they’re called Canada geese and not Canadian geese (and not gooses). At any rate, a whole gaggle of the fowl were there waiting for me when I kayaked out. It’s been years since I’ve been to the island, a small tree-covered affair in the middle of a lake usually populated by powerboats and water skiers. I’ve walked across the ice to the island in winter, and in the summer we used to canoe out to a beach on the far side for picnics. But this time, after heading out early to avoid the high-speed watercraft, the honking greeted me as I approached, and geese appeared on the banks, lined up like a hostile army preparing to defend its position. I circumnavigated to the other side where two Canada geese were wading on the beach and a few more waited back in the woods. At this point, I decided against making a landing. Geese can be mean, with their hissing and charging, wings spread wide. I once saw a pair of angry geese back a hiker into a pond. He tripped, and they picked his bones clean. But the guy had it coming. He hissed first. Sure, I could have met the tribe of geese head-on and reclaimed the island in a fair fight. But there were other things to consider. They may have been nesting, protecting a clutch of eggs. Or perhaps they were just stopping for a few days during a trip back north after winter. I did’t want to trigger an international incident. But mainly I backed down because of the poop. Geese can saturate an area with their droppings in no time, so the island isn’t worth reclaiming, at least not until after they have moved on and the next floods rolls through and cleans out the mess. Canadian antiques dealer Xiao Ju Guan, aka Tony Guan, 39, was indicted by a federal grand jury in Manhattan today for conspiring to smuggle wildlife, including rhinoceros horn, elephant ivory and coral, according to the U.S. Department of Justice. Guan, the president and owner of an antiques business in Richmond, British Columbia, was arrested on March 29, 2014, after flying from Vancouver to New York and purchasing two endangered black rhinoceros horns from undercover special agents with the U.S. Fish & Wildlife Service at a storage facility in the Bronx. After purchasing the horns in a storage pod, Guan had the undercover agents drive him and a female accomplice acting as his interpreter to a nearby express mail store where he mailed the horns to an address in Point Roberts, Washington, less than a mile from the Canadian border and 17 miles from his business. Guan labeled the box of black rhino horns as containing “handicrafts” worth $200, even though he had just paid $45,000 for them. Guan indicated that he had people who could drive the horns across the border and that he had done so many times before. Guan and his co-conspirators allegedly smuggled more than $500,000 of rhino horns and sculptures made from elephant ivory and coral from various U.S. auction houses to Canada by the same method or by having packages mailed directly to Canada with false paperwork and without the required declaration or permits. One part of the criminal scheme was to falsely describe the wildlife in order to conceal Guan’s wildlife smuggling. In the case of a rhino horn purchased in Florida, the Customs paperwork claimed it was a “Wooden Horn” worth $200. At the same time that Guan was being arrested in New York, wildlife enforcement officers with Environment Canada executed a search warrant at Guan’s antique business in Canada. Environment Canada and Justice Canada are working cooperatively with U.S. investigators and prosecutors. The Guan case is part of “Operation Crash,” a U.S. Fish & Wildlife and Justice Department crackdown on illegal trafficking in rhinoceros horns. BANGOR — A New Jersey man was found guilty today by a federal jury in Bangor, Maine, of illegally trafficking and smuggling narwhal tusks, and associated money laundering crimes, according to the U.S. Department of Justice. Andrew L. Zarauskas, 60, of Union, was convicted of conspiracy, money laundering conspiracy, smuggling and money laundering violations for buying narwhal tusks knowing the tusks had been illegally imported into the United States from Canada, as well as selling or attempting to sell the tusks after their illegal importation. Authorities allege from 2002 to 2008, Zarauskas purchased approximately 33 narwhal tusks that he knew were illegally imported into the United States in violation of federal law. A narwhal is a medium-sized whale with an extremely long tusk that projects from its upper left jaw, often referred to as the unicorn of the sea. As marine mammals narwhals are protected by the Marine Mammal Protection Act and the Convention on International Trade in Endangered Species of Wild Fauna and Flora. It is illegal to import parts of marine mammals into the United States without the requisite permits and without declaring the items to U.S. Customs and the U.S. Fish and Wildlife Service. Narwhal tusks are commonly collected for display purposes and can fetch large sums of money. 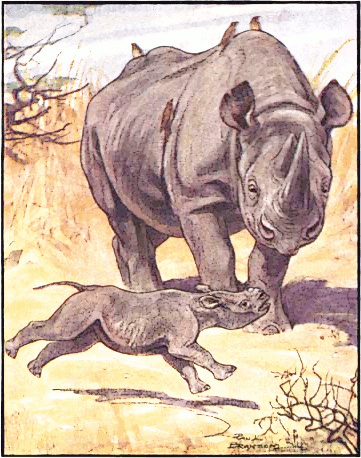 According to evidence presented at the trial, Zarauskas conspired with others, including persons located in Canada, to illegally import the protected tusks for re-sale in the United States and to launder the funds used to purchase the narwhal tusks by transferring checks and money orders from New Jersey to Canada, intending that the money be used for further illegal imports of narwhal tusks. On Jan. 7, 2014, Jay G. Conrad, of Lakeland, Tenn., who had been charged in the same indictment, pleaded guilty to conspiring to illegally import and traffic narwhal tusks, conspiring to launder money, and illegally trafficking narwhal tusks. On that same date, a plea agreement was also unsealed in which Eddie T. Dunn, of Eads, Tenn., pleaded guilty in the District of Alaska to conspiring to illegally traffic, and trafficking, narwhal tusks. Throughout the conspiracy, Zarauskus and others made payments to the Canadian supplier for the narwhal tusks, by sending the payments to a mailing address in Bangor, Maine, or directly to the supplier in Canada, authorities said. The payments allowed the Canadian supplier to purchase and re-supply Zarauskus and Conrad with more narwhal tusks that they could then re-sell. Conrad sold between $400,000 and $1 million worth of narwhal tusks and Dunn sold approximately $1.1 million worth of narwhal tusks as members of the conspiracy.